Battle Jackson’s presentation had more than a commemorative purpose; it also had several important disaster preparedness lessons to impart. There were 3 ways the staff had prepared well before the catastrophe that helped tremendously during the recovery phase. Wolfe staff had previously established relationships with first responders: The blaze was so intense and that with a normal house, the firefighters would not have entered. Their protocol would have been to hose it from outside and let the fire burn out. But because they understood the importance of the structure to the community and to the state, the firefighters entered the building and took more aggressive salvage measures. Wolfe staff had documented the site’s collection: A thorough inventory had been completed on the entire collection and included photographs. These records were critical when the time came to make insurance claims and also during the conservation and reproduction processes. In a fire artifact numbers often become illegible. Acrylic resin base coats can pop off, tyvek tags can shrink, and sooty coatings can camouflage numbers in black ink. Photographs are an important tool to match damaged artifacts to their records. Wolfe staff participated in a network of support among local cultural heritage practitioners. Staff members from the Biltmore Estate and Blue Ridge Parkway were among the first to join with TWM and other NC Historic Sites staff for artifact recovery. Another preparedness lesson from the Wolfe fire is to shut interior doors at closing. One room adjacent to the dining room was used as furniture storage and the door kept closed. Despite its proximity to the blaze, artifacts inside the room appeared untouched. They suffered only a thin film of soot in the fire’s aftermath. Hindsight, however, is still not 20/20 regarding the perpetrators of the arson. A group of local literary enthusiasts are now offering a new $1500 reward for information about the arson that occurred 15 years ago. If you missed viewing the webinar on this instructive case study of disaster preparedness and recovery, you can still access the archived version here. What additional lessons have disasters at your site taught you? Earlier this month the Town of Gettysburg and surrounding areas successfully marked the 150th anniversary of the United States’ bloodiest battle. Between July 1st and 3rd, 1863, nearly 8,000 Americans were killed. The National Park Service, the Town of Gettysburg, and the Gettysburg Anniversary Committee collaborated to observe this significant event in our country’s history. 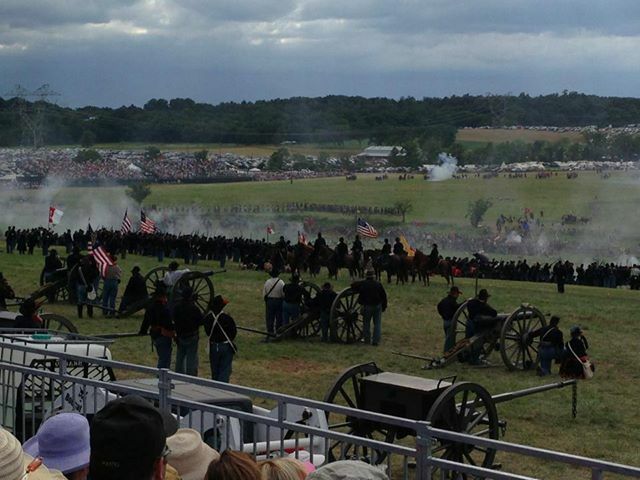 The large-scale commemoration began with activities on the National Battlefield on June 30th, including speech-making and a performance by country music star Trace Adkins, and concluded with a massive powder-charged re-enactment of Pickett’s Charge on July 7th, 2013 by some 13,000 reenactors/living historians. I’ve been a reenactor/living historian for nearly 20 years, along with my husband and children. Over those years, my approach to the activities has evolved, and I’ve improved my understanding of “what life was like back then” through research and study. 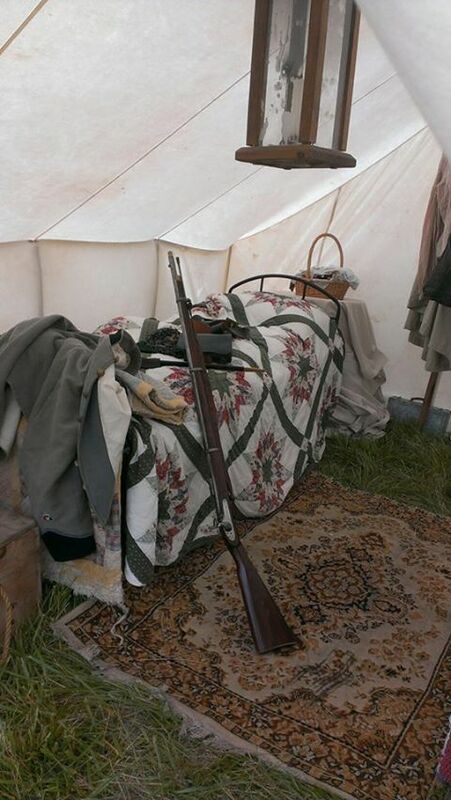 I began as a reenactor; I now consider myself a living history interpreter because I seek to teach visitors (and other reenactors) about the experiences of our ancestors of the Civil War from all sides of the conflict, instead of just going to a field, camping in weird clothes and tents, and shooting guns. I am there to teach, and I am a woman on the battlefield. Women were there – on the homefront, in the camps, on the march, and in the post-battle patrols to find and treat survivors – we have a role to play in teaching those thousands of spectators, even when they ask questions about why there aren’t any bullet holes in the monuments (true story) or if we really slept in the tents. A nugget of information to help a lifelong learner or a young student of history along their way is what I seek to provide. 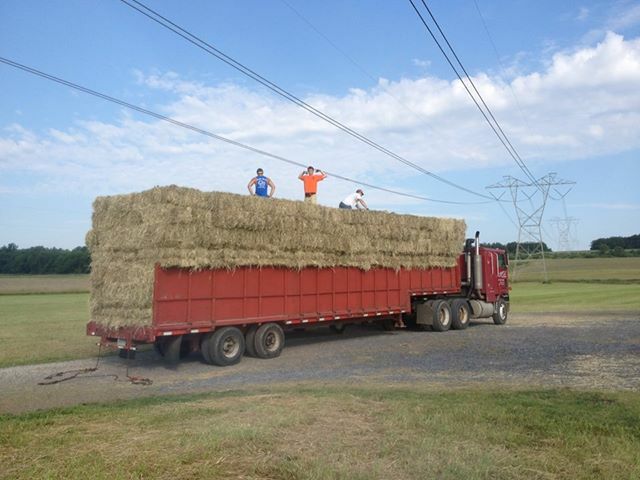 There were 3 tractor trailers full of hay for 400 horses. As a member of our North Carolina’s Civil War 150th Anniversary committee, I’ve made presentations and been behind the scenes for planning and events. 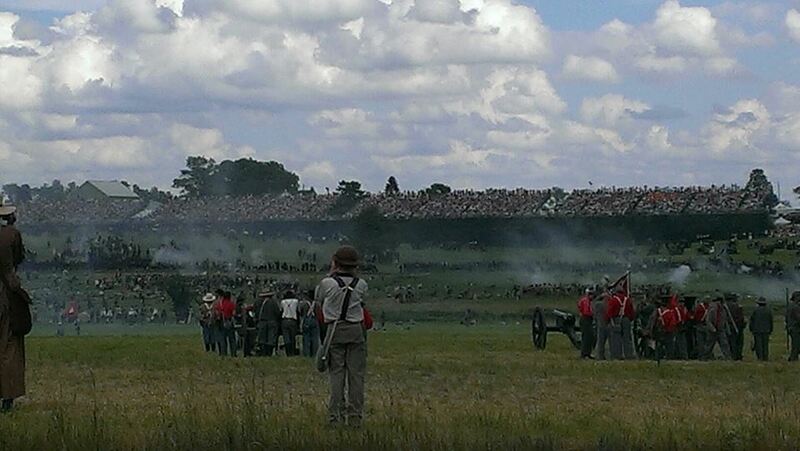 So, as I attend mega-events such as the 150th Gettysburg, I take notes, think about what would work for our state’s 150th events in 2015, and marvel at the scale of planning and logistics that goes into accommodating over 200,000 spectators and thousands of reenactors and their horses, cannon, and other instruments of war! Inevitably, I thought of the money spent and made over the week. Hotel rooms were booked for months in advance — spectators were staying in Maryland, Virginia, and across southern Pennsylvania. 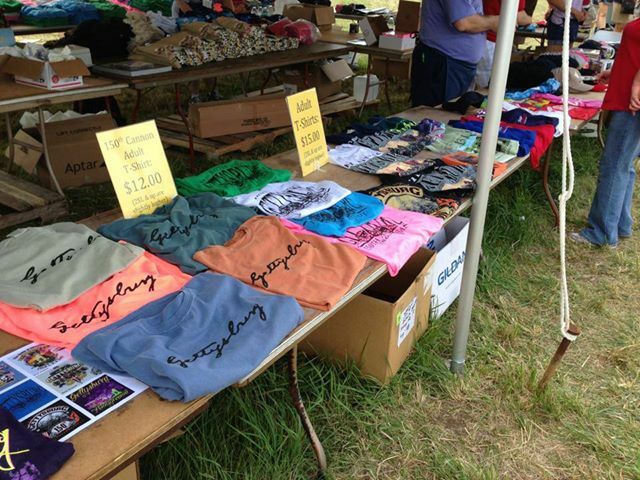 Trinkets, t-shirts, pink kepis for the girls, and wooden muskets for the boys were for sale everywhere. Bottled water was $3 a bottle, food stuffs like turkey legs and funnel cakes were going for prices akin to those at the state fair, and the sutlers were selling their wares at a slight markup over their regular pricing. 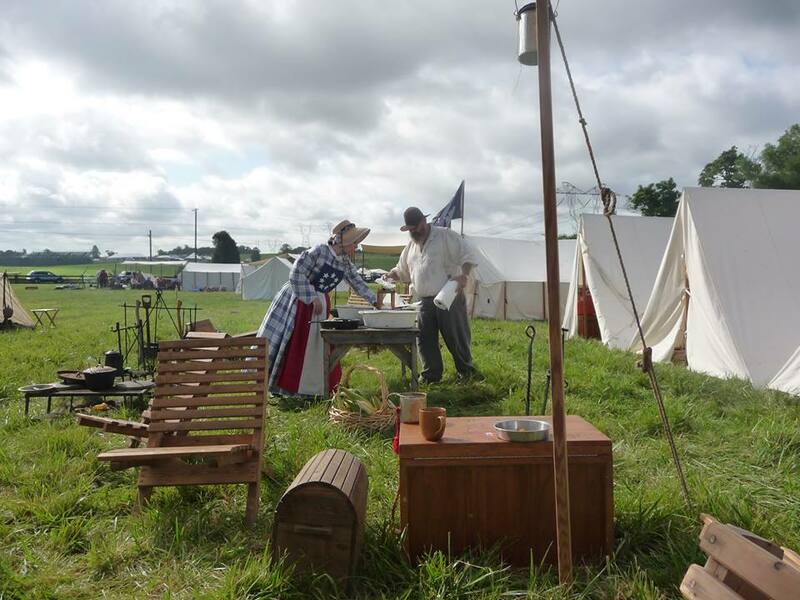 For the un-initiated, “sutler row” is much like a reenactor mall where you can purchase everything from corsets and ball gowns to uniforms and brogans, plus reproduction guns, flags, plates, cookware, chairs, and, finally, wooden boxes to put it all in! Notice the grandstand in the background. Visitors to the event had to pay a ticket price to enter the event area and watch the battle scenarios plus an extra $15 per person for grandstand seating for approximately $40 per person! Unsubstantiated rumor had it that those grandstands were re-used from the recent US Open and that their cost was $700,000! The re-enactors/living historians were required to pre-register as well, with some paying as much as $40 per person for late registration. 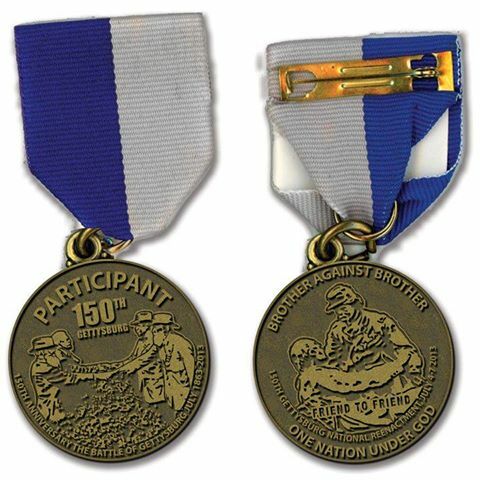 A perk was a neat be-ribboned medal to signify participation. 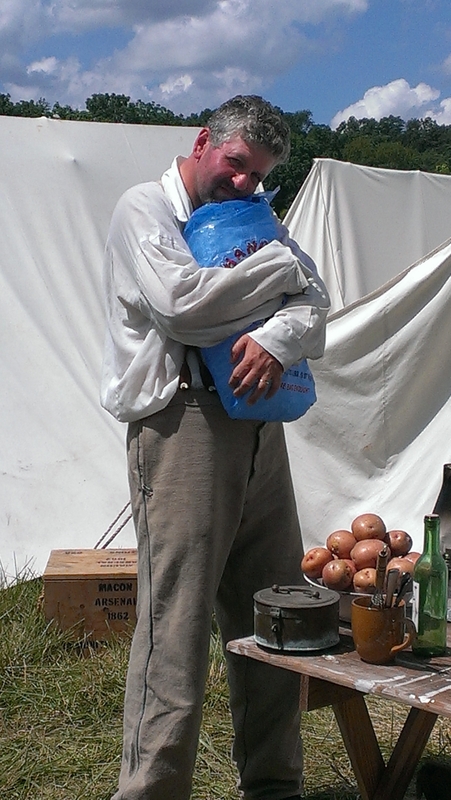 With shade scarce, Chris Umfleet hugs a bag of ice to cool off. 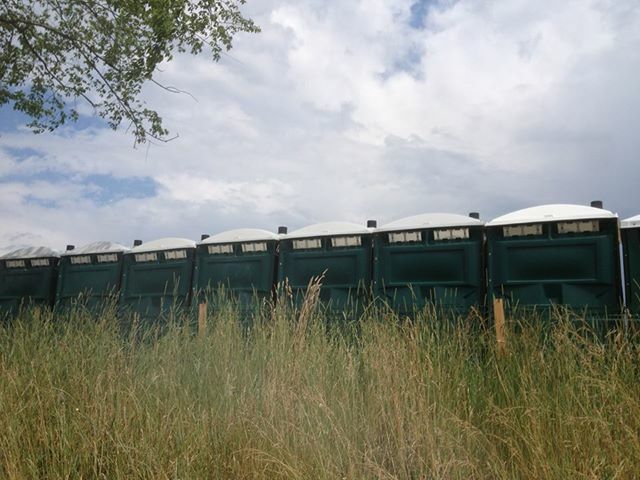 Purely “living” and “existing” in a Civil War encampment for 6 days in Pennsylvania in early July requires planning and several assumptions – it will be hot, there will be bugs, and not enough of a breeze to evaporate an ounce of perspiration! By the way, someone once observed that southern ladies don’t “sweat” but instead “glisten.” If this observation holds, then I was positively sparkly the majority of the week. We seek to find and use historically accurate tools, equipment, and gear but, try as you might, modern convenience often slips in. Inside the tent we tucked away a cooler, a plastic crate with clothes to keep the bugs out, and a battery operated fan to help us sleep at night. To add to the heat and difficulty is the factor of food. Yes, we could survive on trail mix and pop tarts, but demanding activities and our drive for authenticity require real food for marching, fighting, and walking around in hoops, petticoats, and corsets. We ate well over the week – bacon and eggs, brisket, pulled pork, roasted chickens, potatoes, fresh fruit pies, biscuits, and corn on the cob were just a few of the delicacies – all cooked in fire and coals early in the morning and late on hot afternoons. Here’s a photo of me in the “kitchen” with a friend from our unit. Strive as you might for historical accuracy in presentation, modernity is bound to creep in – how many anachronisms can you spot and list? Reply to our post with your count and you will be entered to win a scholarship good for one of our upcoming CREST workshops! I survived Gettysburg and even went to The Ball Saturday night! A girl has to have her priorities! LeRae and Adrienne are meeting today with the Advisory Committee of the Gathering Place Project (GPP). The GPP seeks to share best practices in museum management and care for North Carolina’s African American Museums through an IMLS grant-funded project. Below is the introduction powerpoint! Our C2C team will be involved in several upcoming GPP initiatives. LeRae will be one of the presenters at the GPP’s “Pre-conference Workshop Launch” the day before the Association of African American Museums’ conference in Charlotte on August 7th. The event will focus on surviving and thriving in the midst of a continuously challenging economic climate. LeRae will share grant-writing strategies with the group and other statewide experts will present on topics related to institutional fundraising. Later this fall, Adrienne will work with collection stewards at Bennett College and the International Civil Rights Center and Museum in Greensboro to develop preservation goals. We’re now at the peak of summertime with all the season’s attendant dangers. James Reilly, Founding Director of the Image Permanence Institute, has asserted that “geography is a kind of preservation destiny.” Here in North Carolina, our biggest preservation risks occur in the summer, and the next two months or so are typically the most crucial. Here are some common summertime conditions that create the need for special vigilance in conducting collection inspections, environmental monitoring, and disaster planning. High temperatures speed chemical reactions, leading to faster rates of deterioration for many materials. High relative humidity (above 65%) invites mold growth and infestations of certain types of insects. Corroding metals will continue to deteriorate even at moderate rates of RH (above 35%). Large and sudden RH fluctuations cause some materials to swell and shrink and may lead to losses. See the Image Permanence Institute’s “Dew Point Calculator” and “Preservation Evaluation” to learn more about these interrelationships. Hurricanes tend to strike the North Carolina coast in late August. Even without a direct hit on a cultural heritage institution, these storms can cause flooding and prolonged power outages that could damage collections severely. Reduce heat load in buildings by installing light-colored, reflective roofing materials. Use drapes or shades to block direct sunlight coming through windows. Repair leaks and maintain guttering systems to divert moisture from building foundations. Dehumidifiers may be the best option for institutions with high humidity. Often air conditioning systems at smaller sites only reduce temperature without affecting humidity. Reilly suggested several cautions about the use of portable dehumidifiers. Their motors generate heat in a space; their constant operation is a fire risk; and institutions using them need to provide for adequate drainage. Use enclosures to protect collection materials from RH fluctuations. IPI has researched the effect of container materials (metal, cardboard, and plastic) on rates of equilibration. While enclosures do not delay temperature changes much, plastic and metal containers slow the rates of moisture-level change for the contents significantly. Click here to view IPI’s findings. How does your institution deal with summertime conditions? Have you used any of the above strategies with success? Will Communications Be Another Disaster ? I just finished reading a very perceptive piece entitled “Communication in Business Especially During a Crisis or Emergency Event” at a blog site called Disasters and Disabilities. This article discusses the needs for a variety of communication methods during a disaster. I agree that email is not a guaranteed method of notifying a large group of parents, clients, or the local community. Museum and library staff will still need old-fashioned written word on a piece of paper and a landline telephone. If during a disaster, a site’s computer is damaged, destroyed, or inaccessible, and the cell towers are not functioning, a regular old landline phone might be the best bet for making contact with volunteers, local and state officials and board members. How many of us with cell phones have never bothered to learn a specific number because it is programmed by name? The same with email addresses. No one knows the exact email address of every contact. We depend on the stored information instead of our memories. This includes phone numbers and email addresses. If the comfortable system of technology at your institution becomes completely disrupted, written information that has been safely stored and is easily accessible will be indispensable. A disaster can be anything from eight inches of water flowing down the staircase, a tree coming through the roof, or a catastrophic hurricane event. THE most important part of recovery is verification of the artifacts and/or structure, legal ownership, and personal identity. Having to scramble through wet, sooty, molded or just destroyed piles of rubble will only add to the frustration. If copies of the basic documents are dry, readable and readily accessible, then the recovery and rebuilding process can stay on track. Cell phones, computers, and all other electronic devices might be useless. There is a strong probability that your equipment may be working but the Insurance Agent’s (or other related agency) might not. To verify the coverage, you will need a clear paper copy of the policy or contract that they can read and verify. If you are associated with a public or private entity, there are precautions that need to be taken. In a disaster, the right format for communicating the needs of the institution will resort back to the tried and true methods of paper and pencil. Here is a list of what needs to be stored on paper in a zip lock, waterproof bag that is stored it off site. A bank deposit box, trunk of the car, in the emergency kit, or fireproof boxes are good ideas. Remember, if the site or institution is destroyed or damaged, this information is vital to begin the recovery process. 1.Emergency contacts with relationship/position of responsibility: include their full name, physical and email address,and all possible home, work or mobile numbers. *PASSWORDS and USER ID for computer(s). *Vehicle and structural insurance policies, including flood insurance and special riders for specific items or collections. -Local or State Small Business Administration. I hope that following list of suggestions for disaster preparation is wasted time and that the museums, libraries, and historic sites of North Carolina never have to rely on that zip lock bag to restore data or special collection. However, if there is just one disaster or event, then this preparation could mean the ability for your library, museum or historic site to return to a sense of normalcy and get back to the business of life as usual.